← English Editing in Quebec: Mind Your Noun Strings, Please! I’m sure all of us, as editors, have encountered heated discussions about the notion of “correct” English. It’s an inescapable occupational hazard. With the prescriptivists in one corner and the descriptivists in the other, the debate continually rages on. 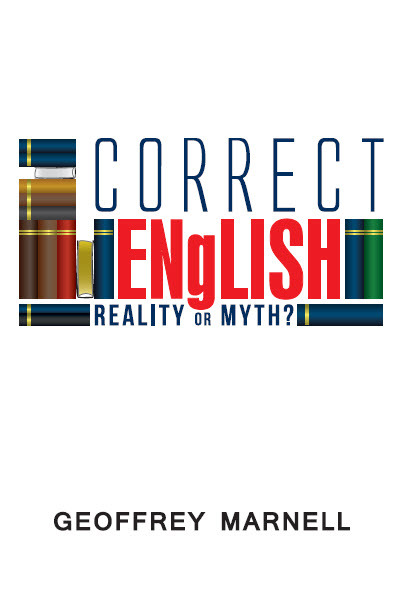 I was curious to know if Geoffrey Marnell would bring anything new to the discussion with his book Correct English: Reality or Myth? Marnell’s main concern is a practical one: How should English be taught in schools? Is there a form of “correct” English that all teachers can pass on to their students to help them communicate successfully? As someone who started attending elementary school in the 1970s, I found myself nodding when reading Marnell’s description of the unfortunate teaching system of the day — one that threw out past notions of proper grammar instruction. I was lucky I got through school knowing about the parts of speech, never mind anything more complex like the difference between a phrase and a clause. I didn’t learn how to analyze sentence structure until I was an adult. So I agree with him that there are weaknesses in the educational system. But Marnell argues that a return to the old ways of teaching language would not be right, either, since enforcing classist notions of “proper” usage is a potential miscarriage of social justice. Such a stance would mean ignoring the reality of the various forms of English used both within nations and around the world. Marnell devotes a large section of his book to arguing that there is no such thing as “correct” English. This includes a discussion on the nature of knowledge and how one can know whether something is correct or incorrect. Although his philosophical approach to the argument was intriguing, I found this section lengthy and occasionally difficult to get through. His chapter “Prescriptivists Fight Back” was far more approachable. Here, he outlines the typical arguments that are used to support prescriptivism and identifies where they fail. Ultimately, Marnell concludes that language use cannot be considered correct or incorrect, but is instead a collection of conventions: “Language is purely conventional and exists solely to meet the needs of its speakers” (p. 106). So if writing cannot be correct or incorrect, does this mean there is no way of assessing its quality? Marnell believes that this can still be done. Writing cannot be incorrect, but it can be considered bad. What makes writing bad is not the failure to adopt certain particulars of usage; rather, it is the failure to apply broad general writing principles, such as clarity, familiarity and consistency. These principles can be taught to students, along with the language conventions of the day, with the understanding that language will continue to evolve and that there is no one “correct” way of writing in English. I found Marnell’s arguments to be fascinating, even if the book was weighed down at times by its scholarly language. The content addressing prescriptivism vs. descriptivism was quite detailed and provided much food for thought. What’s missing for me is the extension from argument to practical application. I wish more time had been spent on how language mechanics could be taught from the “active descriptivist” point of view that Marnell champions. I would love to see his approach incorporated into a real English lesson plan. Then I could happily use it to help my own elementary-school child navigate his way along the winding path of the English language. With the school year having just started, what are your thoughts on how the English language is being taught in Canadian schools? This book was provided to The Editors’ Weekly free of charge by the publisher. Neither The Editors’ Weekly nor the reviewer received any compensation for this review. The opinions contained in this review are those of the reviewer alone and were written free of any obligation to or agreement with the publisher. Previous book review from Sue Archer: The Editor’s Companion by Steve Dunham. 4 Responses to "Review: Correct English: Reality or Myth? by Geoffrey Marnell"
Another great review, Sue. Such a difficult debate, though! To touch on the point about teaching grammar as it was taught several decades ago: I agree that such instruction can be sterile and even culturally insensitive if it’s done in a way that devalues how people speak in everyday life. Perhaps at the very least we can open our children’s eyes to the fascinating points of commonality among all dialects of English. Irrespective of background, everyone speaks in clauses and phrases, even if there are some variations in the particulars. So, we can help children appreciate the core of English while celebrating its diversity. Thanks, Paul. This makes me think about commonalities with other languages, as well, and how they could be incorporated into teachings on the diversity of language. That would be such a fascinating approach. That’s a great point, Anita, about how young people learn. I imagine it must be difficult to balance the need for simplicity against the need for accuracy. I have great respect for teachers and the challenges they face in helping our children navigate the English language.